Looks like Motorola's Moto Z Play smartphone is all set to receive the Android Nougat update. 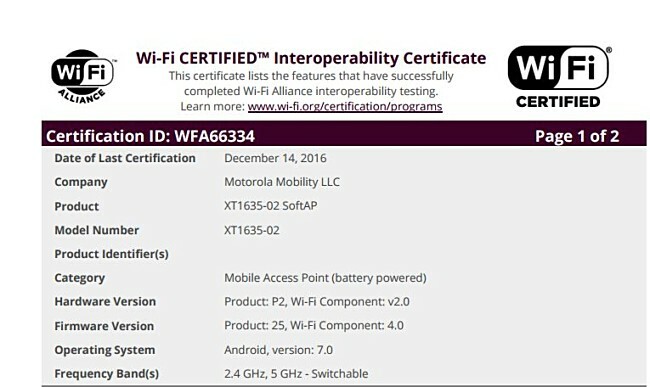 Model XT1635-02, running Android version 7.0, has received Wi-Fi certification from the WiFi Alliance (WFA). While there is currently no information on exactly when the roll out will begin, given that the Nougat-powered model of the handset has started collecting the required certifications, we expect that to happen sooner than later. This comes just a few days after the Moto X Play running Android Nougat (version 7.1) was spotted on benchmarking website GFXbench. 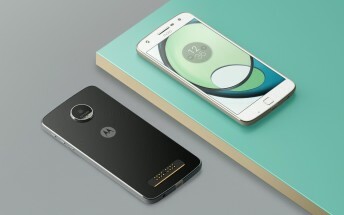 The Nougat update has been already rolled out by Motorola to its Moto G4, G4 Plus, Moto Z, and Z Force smartphones.